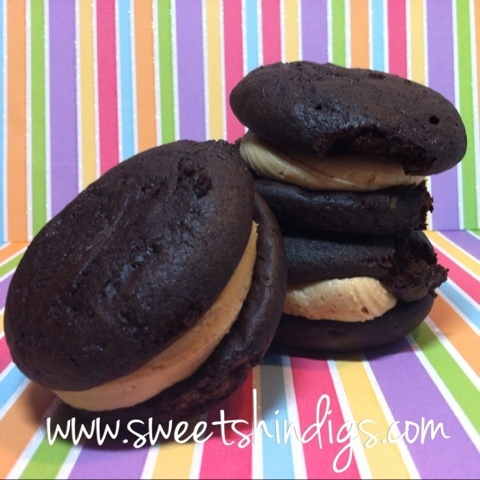 Chocolate Whoopie pie with Peanut Butter Frosting. These are $2.50 each. Minimum order is one dozen.